Students interested in taking college classes during the school day at ACHS (concurrent enrollment) or off campus during the night or summer (dual credit) MUST meet with their counselor first to discuss the process and obtain the appropriate paperwork. 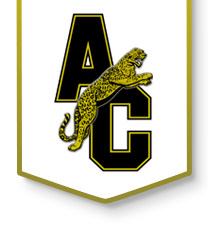 Current ACHS policy is that if the college course is offered at ACHS during the school year, students are required to take the course at ACHS unless there are schedule conflicts. KS Board of Regents: University and College Transfer Information. Students must be considered a sophomore, junior, or senior to enroll in college courses at BCC. Concurrent courses taught at ACHS: English Composition 1 and 2 (12th grade), American Federal Government (12th grade), Public Speaking (9th-12th grade-typically taken junior or senior year), College Algebra (11th-12th grade), and Applied Statistics (11th-12th grade). More information (ie. course fees) can be found here. The tuition free courses do not apply to courses taken over the summer. Full tuition will be assessed during the summer. Technical Education Tuition Waiver—Information regarding classes/programs that offer free tuition at BCC. You can search courses that qualify through the Course Schedule (link is above) and search for schedule type “KS CTE Initiative”. Butler Academies for High School Students—Students attend ACHS for 3 hours (AM or PM depending on the program) and then take Butler classes on a Butler campus for the other half of the day. Health Sciences (Pre-Nursing, Pre-Vet, Pre-Med), Education, Humanities, 3D Technology (Digital Media, Digital Video Production, Interactive 3D Production), Engineering Technology, Business & Entrepreneurship, Aviation, Cyber Security, or Fire Science.